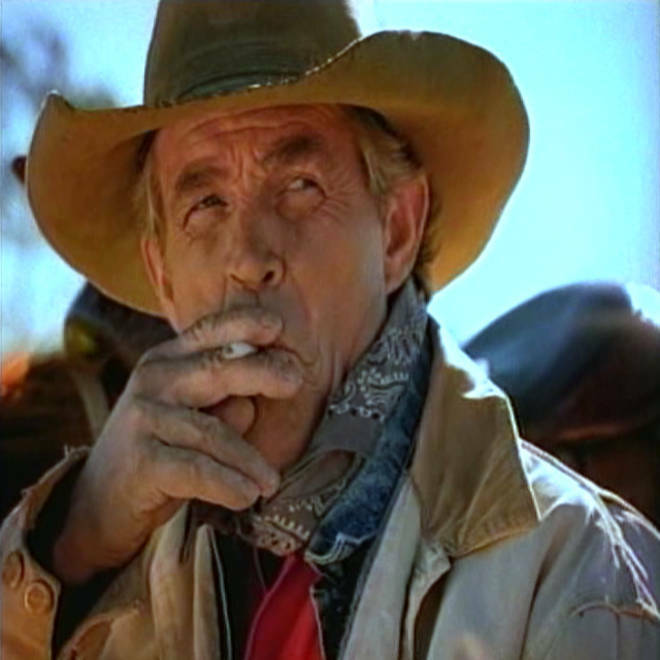 Former Marlboro Man actor Eric Lawson appears in a 1997 anti-smoking ad produced for the American Cancer Society. Eric Lawson, a working actor who portrayed the Marlboro Man in cigarette ads during the late 1970s, has died. He was 72. Lawson's wife, Susan Lawson, said Sunday that her husband died Jan. 10 at his California home. The cause was respiratory failure due to chronic obstructive pulmonary disease, or COPD. The ruggedly handsome Lawson portrayed the smoking cowboy in Marlboro print ads from 1978 to 1981. He also had bit parts in such TV shows as "Baretta" and "Charlie's Angels" before injuries sustained on the set of a Western film ended his acting career. He is also survived by six children.